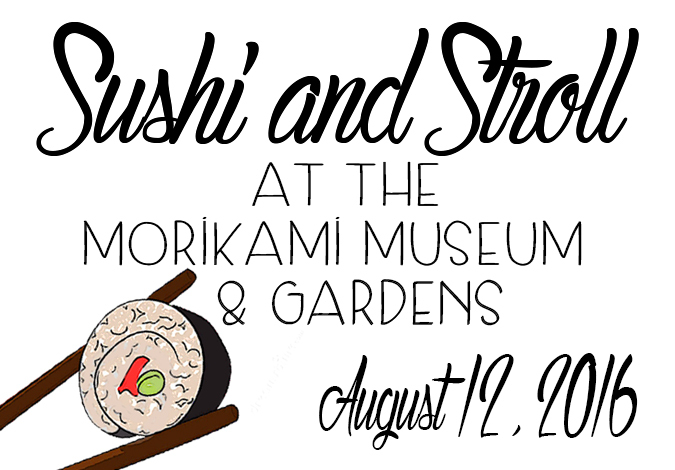 Sushi and Stroll at the Morikami Gardens- August 12th! Thursday, August 11th, 2016 at 11:50am. The Sushi and Stroll nights are all about a relaxing evening. So bring your family, friends and significant others to enjoy some delicious sushi, a refreshing cocktail and a self guided audio tour at your own pace.